What is not striving for excellence? Not striving for excellence is simply doing the minimum required to fulfill the job description, or if not even that, just filling the hours necessary to get paid. Further, lack of excellence can be showed through laziness, taking extra breaks, and not doing everything you can to make a patient feel better, this includes simple things like smiling. What does lack of excellence breed? Discontentment, frustration, impulsiveness, and it replicates to the rest of your habits in your daily life. I will never forget a teacher of mine who said, “what you do when nobody is watching says a lot about your character”, this statement really shook me; let it shake you too. What happens when you incorporate excellence into your work? You fulfill your internal potential, finally being able to empty yourself completely for others through your work; this is ultimately what the Nurse is called to do. Your excellence leads to progress, which as a result breeds happiness and fulfillment. Further, your excellence sets things into cyclical motion. What does he mean you might ask? Your attitude, and thus your excellence, will make your job easier. Striving for excellence leads to patient satisfaction, which leads to greater cooperation, thus leading to personal satisfaction, and the cycle continues. Your personal satisfaction, just like lack of excellence, will be reflected in other areas of your life. Make sure to think about this and consider the correlation. Never forget, you are the one who is with the patient in their lowest moments. As a Nurse you have the greatest influence and potential to pull these patients out of their low points; sometimes all it takes is that smile or kind word. You’ve dedicated so much to be in this position, and so many people would dream to be in your role: Students who are currently studying to be Nurses, those who can’t afford schooling, those who wish they could heal their family members but don’t have the skills, and those who wish they could heal themselves. I think you begin to see my point. It may be difficult to implement this strategy right away, as we must overcome habits that have potentially been around for decades, however, start with one thing today, and simply smile. Step up to the challenge, be exceptional, be the best You. 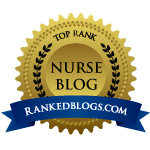 Sebastian Jania is the owner and current blogger for The Nurse's Essentials, a Canadian company seeking to appreciate, inspire, and serve Nurses. How long have you been a nurse and what areas of nursing did you work in? I first worked as a Blue Angel in the Palo Alto VA hospital when I was 16 (1966). After graduation in 1971, my experience has been the following: ICU→ERs→Director of Community Health→Assistant Director of Nursing→Research→Entrepreneur→Ambulatory Care→Documentary filmmaker→Author. How did your clinical work differ between working in Europe verses the United States? How nursing care is delivered is different geographically from Europe to America and I would later find out how different it was within the U.S. In 1973, I had the opportunity to work in an all German-speaking open heart surgery unit in Kiel, Germany, for 18 months. Having come from Stanford University Hospital’s Open Heart Surgery/Heart Transplant Unit, this experience was only my second nursing position, and it was very eye opening. In Germany, there were few more “lowly” positions at this time than that of being a nurse. It also was a tough place to work at first because I barely spoke German. One day, I looked at myself in morning report, with my long hair wrapped up in a babushka, wearing wooden shoes and understanding all of the report, I realized how resilient and adventuresome I was! In Holland, I worked in the Department of Midwifery and attended with home deliveries – also a unique, once in a life time experience that required me to just take a deep breath and figure out what to do until I understood the languages of Freisen and Dutch better. I had only been out of school for two years, but I realized that because I had received an excellent education, it gave me the confidence to ask questions, speak up and be self motivated to figure out what I needed to learn. This would be an asset in every job since then. As overwhelmed as I was in these two international positions, they provided me with a can do attitude. What I always thought was neat, was that even though I didn’t speak the languages at first, there was a camaraderie and rhythm of caring for patients that didn’t involve language, and this I could translate into caring behaviors with patients that were non-English speaking for the rest of my career. What do you love most about nursing? The variability of what is available to nurses to pursue is immense. I have had so many diverse positions that taught me more about myself and life than I ever imagined when I first decided that I wanted to be a nurse. I travelled, made money when I really needed to, raised a family, had intellectual and personal experiences that resulted in something that is unique to nurses and that is never having a boring job! So many doors were opened to me just because I was a nurse eager to try something new. A nurse stated in my documentary, Exposure, Reclaiming the Nobility of Nursing, “Once you’re a nurse, you’re always a nurse,” and I would agree. Another nurse stated, “We give a lot to our patients, but we get a lot more back from them.” I have found these statements to still be applicable to my life, so much so that I do not see retirement occurring for quite a while. The opportunity to be a part of so many people’s lives over the years remains an honor. The nurse-patient relationship is so unique that it has resulted in me never having to wonder if my life had meaning or purpose. What throws you off balance and how do you know you are out of balance? What a wonderful question! I realized years ago that I would never have “seen it all, patient wise.” So it’s not a patient experience that is upsetting, or results in me feeling unable to synthesize my education, experience and ability to problem solve. What did make me feel surprised and caught off guard was not being able to make any improvement on one particular environment that I relate in the chapter, “Shock, Anger and Disillusionment.” After 35 years of “Camelot Nursing,” I reached out to every known source of help and realized that to find the “solution” to being angry and disillusioned would require going to some other level of introspection. This took 12 years, not one or two. What brings you back into balance? Over time, most nurses discover that they need different outlets for different problems. My husband, my friends, my children (their innocence when they were young and their perspectives that were sometimes so different than mine, when they got older), my colleagues both within my discipline and practice setting, and outside, all have helped me. Some things just take the tincture of time, and I have come to accept that some hurts, injustices and outrageous (sometimes just to me-only situations) were not meant to be let go of quickly. Understanding that there may be a deeper message than the surface message may only come over time. Taking care of myself, going back to school, updating my goals and redefining my vision of nursing all were especially useful the last couple of years. Tell me about your most favorite role you’ve had in Nursing? Not to evade this question, but on any given day this answer is different, when I have also asked this question of myself. When I needed confidence, I looked at my toughest jobs, those jobs that I thought I hated at the time but made me feel like I could do anything after I mastered them. I looked at those jobs that I stayed in only long enough to make sure that I had gotten everything out of them that I could. Staying in my last position that I relate in The Joy of Nursing made me wonder why I remained in this position for 12 years when it was so unsatisfying. Even when I told myself “it’s because it’s the only job I’ve hated and I have to figure out how and why this is” seemed odd, but I was pretty confident that IF I stayed I would come out of this experience with knowledge that I could only have learned had I been unhappy. And that was true. So just possibly, at least today, this last miserable position will be my “best” nursing job! What advice would you give to new grads starting out? You chose an amazing profession. There is so much that you can do with your education, so go out and explore and create. Have fun, grow in the areas that you expected to when you took each new position, and then be open to other learning that this job, at this time in your life, are unopened gifts. Solve the problems at hand, persevere in your advocacy for the patients you provide care to and believe that you will have to be tough and you will have to be gentle to be the nurse and that you have a powerfully strong legacy that only you can provide to build on your nursing antecedents. Click here to learn more about Juliana Adams or buy her book The Joy of Nursing-Reclaiming Our Nobility. arriving in and out of the world, distraught and grieved by illness. put shock in the eyes. that had always chosen someone else. you watch their helpless love that would exchange places with her. to remove tissue, war-torn with cancer. already old and in captive posture. The elderly, who should be prepared, but are frightened and unsure. you understand no one can learn beforehand and elegant or easy way to die. that can turn the darkest destiny toward dawn. and never be without care and love when winter enters you own life.